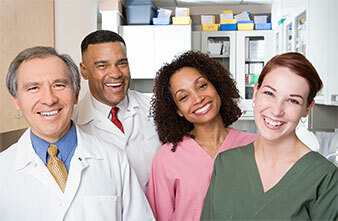 During regular check-ups and recall visits, we take care to ensure the ongoing health of your teeth. In particular, we strive to prevent cavities and disease; ensuring patients of all ages enjoy a beautiful smile for a lifetime. Even though your teeth and gums may be healthy, your smile may have some issues you wish to change. We offer a full range of services that can improve the look of your smile. We never want your smile to hold you back from feeling confident and enjoying life. 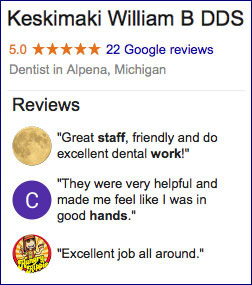 Welcome to the dental practice of William Keskimaki, DDS, providing preventive, general and restorative dental services to patients of all ages in the Alpena, MI area. You will find our office to be warm, inviting and comfortable, an office where you are known and greeted by your first name. We treat all of our patients, from the youngest on up, with the compassionate care and gentle touch we would want.